The Reds players wear No. 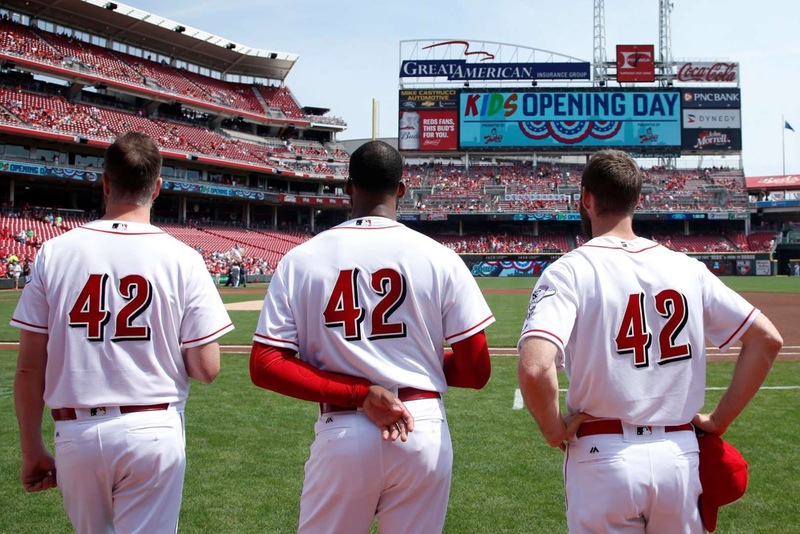 42 in honor of Jackie Robinson Day as they stand for the national anthem prior to a game against the Brewers on Saturday in Cincinnati, Ohio. The Reds won 7-5.